I would love these! That show was everything growing up! I'm guessing this post means you want Jem and the Holograms Dorbz. Is that correct? I would love that. I think Jem and the Holograms Funko products are long over due (Dorbz, Pops, Mystery Minis...). With My Little Pony, Strawberry Shortcake, Care Bears, and Rainbow Brite lines maybe Jem isn't too far away. I'm sure there is a huge fan base out there for these. I know synergy56 would agree. I love csartoon. I admit though I skipped the movie, I just couldn't bare to watch them destroy it. 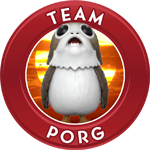 I would love to see these. dexiesmom wrote: I would love these! That show was everything growing up! 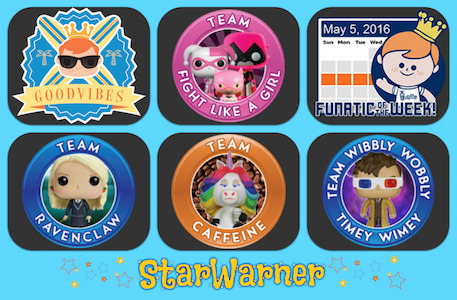 StarWarner wrote: I'm guessing this post means you want Jem and the Holograms Dorbz. Is that correct? Tmarie_82 wrote: Yes, yes, yes! So much yes! Would love these. YES! Rock Candy of Jem and the Holograms, too!! You are correct, I most CERTAINLY do agree!! I need all the Jem stuff. ALL OF IT! Pops, Dorbz, Pints, Rock Candy...BRING IT!! I would love to see these for the fans that want them. 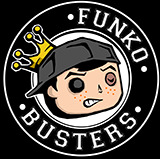 I think it’s a long shot but Funko has a way to surprise us. Jem & The Holograms is well overdue. 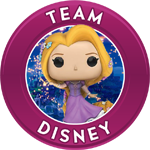 Not too keen on Dorbz, so hoping for Funko Pops of all the major characters! Misfits would be cool! 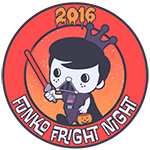 REALLY NEED - Glitter variants, Chases, Glow in the Dark - ALL OF IT!! There is so much that they could do with a Jem line, especially pops. A Synergy & Jerrica TV moment where she's standing in front of the computer mid transition into Jem. Pops of Jem and the Holigrams in costume and regular day personas, Rio, The Misfits. A guy can dream. I agree! They would make great rock candies!! I still have my oldest daughters barbies and jem dolls. You guys had me all scared thinking I missed one of my favorite cartoons as a kid . I would love to see these made! These would be truly, truly, truly outrageous. I would love to see how they translate this into Pop and Dorbz form..
I’m hoping that with the 80s theme of Fundays we get a Jem announcement!!! Yes please id buy all the jem stuff if they where made. My wife and daughter would love these! I never watched the show, but I can guarantee that my wife will insist that we own these! Star-Wing wrote: I never watched the show, but I can guarantee that my wife will insist that we own these! Pops are coming, so Dorbz may not be far behind! 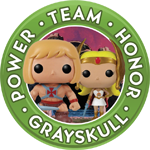 rexflexall wrote: Pops are coming, so Dorbz may not be far behind! That's what I am hoping! We need Jem AND the Misfits! dexiesmom wrote: That's what I am hoping! We need Jem AND the Misfits! Give us ALLLLLLL the Glitter! Then I can show my toys the episodes on Netflix. "This is where you came from"